Got a project you want to build, but no clue how to build it? 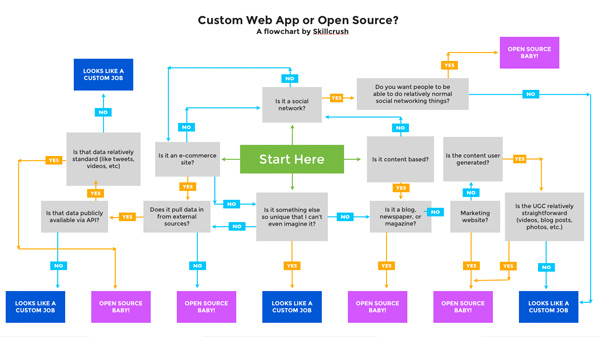 Should you build a custom web app or use open source? 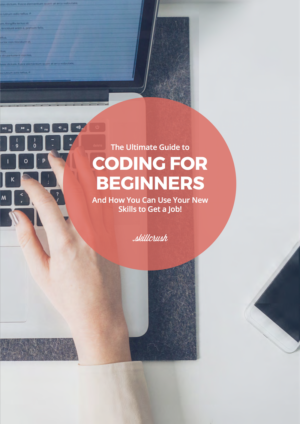 Are you working on a web project and wondering how to build it? Ruby, PHP, Python, or Scala? WordPress, Drupal, or Magento? How will you ever choose? How do you know whether you are making the right choice?! In our past lives as web consultants, one of the things we did most frequently was work with clients to figure out the best way to execute on their project. Now, there is NO one approach that works for everybody. Choosing a web language, framework, or open source web application, is a little bit instinct, and a little bit experience. Every team has a different set of skills, limitations, and needs, and the most important thing is to make a choice that everyone on your team feels good about–there is a adage in the developer community which is that the best tool is the one you are most comfortable with. And unlike on a construction site, we are not comparing a handsaw and a jack hammer. That said, if you are in a position to choose a path there are some questions that you should ask in order to figure out the way to maximize the output for your input. 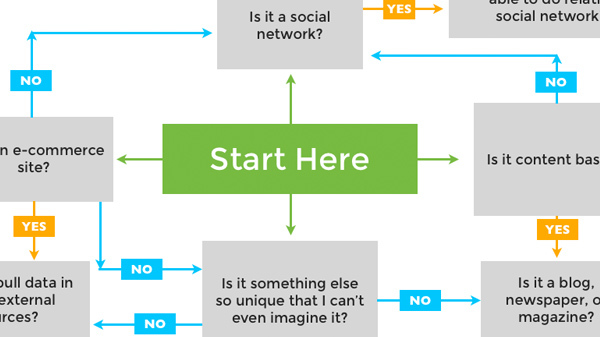 And what’s better for asking questions than a flow chart? Check out our Custom Web App or Open Source? Flowchart to help you decide if you need to build your own Ruby framework from scratch, or whether WordPress will do. PS When we say Open Source Web App we are talking about using an open source web application like WordPress, Drupal, or Magento. PPS Custom web apps can mean anything–seriously, anything.